Choose New Question from the SQuiz menu. You will get the edit form with a popup which prompts you to select a question type. After that the page will reload and gives you the correct form for your question type. You can’t change the question type after this decision. Fill the basic data: type your question, category and maybe explanation and save the question. You cannot add answers before saving the question. You will get an empty answer in the list. Clicking the edit icon in the left top corner will open a modal box with the visual editor to edit the text or media. You can mark this answer as correct by checking the box on the left side. 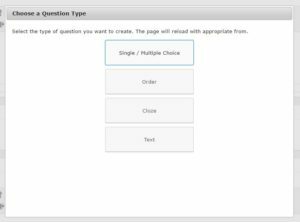 If you mark more than one answer as correct the question will be a multi choice question in frontend. You can drag and sort the answers. This would be the order on frontend. After each change the Save Answers button will appear. You must save them explicit. Update question if you are ready with all. Everything similar to choice questions but you will get no correct box as all answers are correct. You must sort them in the order you expect to be the question recognized as correct. In frontend SQuiz will randomize the order for the quiz player. There is no answer in common sense but the cloze text. You get the visual editor and type your text as usual. Now you enclose all words with |* and *| (pipe asterisk and asterisk pipe) the user must input in frontend. SQuiz will replace this words with input fields, every field as long as the longest gap. In evaluation the words will be compared in the order they found in the text. 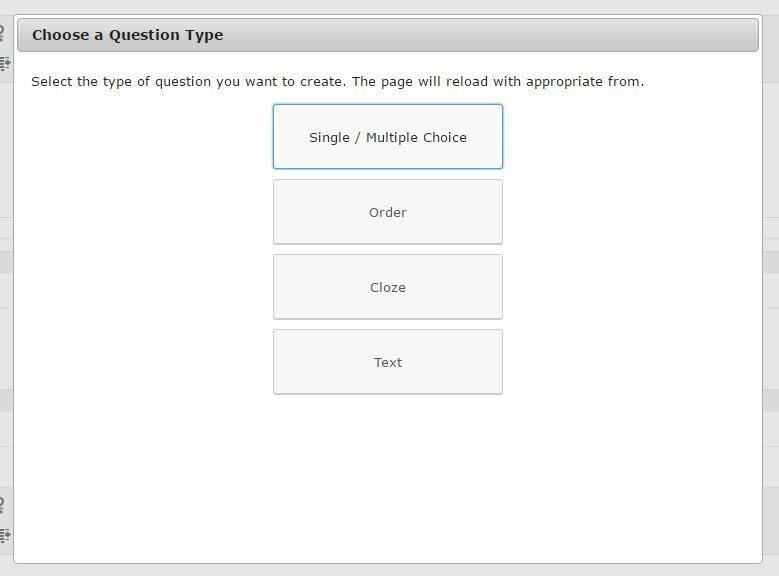 The text question only have one string as answer. You cannot use html to format this because evaluation would not be possible. Input here the text you expect as answer from the user exactly in spelling, indentation lower and upper case. This is important, because SQuiz compares the user answer and your text character by character on exact equality. Answer will only recognized as correct if both are exact equal.